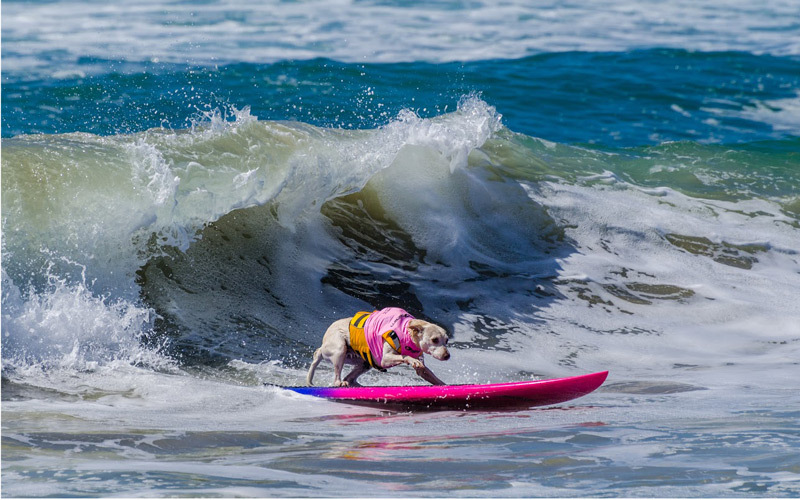 The Huntington Dog Beach is located at 100 Goldenwest Street and the PCH in Huntington Beach. Parking near the beach can be challenging, but the website offers tips. We checked up on a few of last year’s surfers, and they all look like they’ve been training hard. It’s impawsible to predict who’ll take home the top prize.